I taught my last classes of the fall quarter at the University of Denver yesterday. For those of you who are not familiar with colleges on the quarter system, the fall quarter ends in mid-November and the winter quarter does not start until the beginning of January. It will be a nice, long break! I taught a counseling theory class for masters students this quarter, along with a legal and ethical issues class for doctoral students. Next quarter, I am going to be teaching two legal and ethical issues classes for masters students. 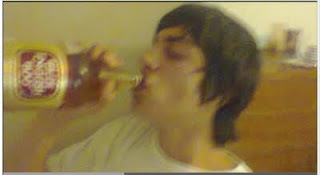 Are teens who use social media more likely to drink or use drugs? 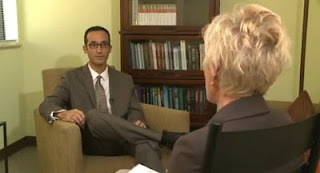 I was just interviewed about a recent study from Columbia University that found a correlation between teens' use of social media and their likelihood to try alcohol, cigarettes, and drugs. Tune in at 9:00 P.M. (MDT) to see what I have to say! I testified in Federal Court last week on an interesting case. The defendant was in the process of undergoing a competency evaluation and was claiming to have Dissociative Identity Disorder (this disorder used to be referred to as Multiple Personality Disorder). DID is an extremely rare disorder, and it is difficult to assess. I was not the competency evaluator assigned to the case, but the court requested that I complete psychological testing in order to help the competency evaluator come to an opinion regarding the defendant's competency. I administered a full battery of psychological tests, including tests for DID and for malingering. As it turns out, this particular defendant was malingering, or faking DID in order to potentially lessen his legal troubles. I testified to this effect in court. Of course, the defense vigorously cross examined me, attempting to discredit my qualifications and the evaluation I had conducted. The defense attorney was aggressive, but he was also fairly nice, and I did not get the sense that he was being overly hostile. Unfortunately for the defense, the judge thought I did a thorough job and accurately interpreted the data I collected. He believed the defendant did not have Dissociative Identity Disorder and ruled that he was competent to proceed. I am excited to have four great doctoral students who will be starting their practicum at my office next week. They are going to help me with psychological testing and legal research. This is the sixth year I have had students work and learn with me, and it has been a great experience. I just signed up for two continuing education classes through the Colorado Bar Association. One is "Examining Doctors at Deposition and Trial," and the other is "Delivering a Killer Cross Examination." I am thinking of the latter as "What to do if you are an expert and the opposing attorney is delivering a killer cross examination." I am excited about the classes. They are designed for attorneys, but they will most definitely be applicable to my line of work. In Federal Court, a person who is competent to stand trial must meet the Dusky Standard: The defendant must have sufficient present ability to 1) consult with his lawyer with a reasonable degree of rational understanding along with 2) a rational as well as factual understanding of the proceedings against him. In Colorado, the competency standard is worded slightly differently, but it is essentially the same two-pronged approach. The defendant must have a "mental disability" or "developmental disability" that prevents him from meeting something very similar to the Dusky Standard. For Mr. Loughner, a psychologist and a psychiatrist independently concluded that he had Schizophrenia (a mental disease or defect) that kept him from being able to consult with his lawyer (he thinks his lawyer is part of a conspiracy against him) and kept him from being able to have a rational understanding of the courtroom proceedings (he likely cannot make rational decisions about court-related matters such as entering a plea or waiving rights due to his Schizophrenia). Neither the defense nor the prosecution objected to the doctors' opinions and the judge ruled Mr. Loughner to be incompetent. It is important to note that being ruled incompetent is not a free pass. It is not a legal defense, and it is not a plea (like the plea of not guilty by reason of insanity). Instead, being found incompetent is a matter of legal fact. It accomplishes two things: 1) It protects the defendant's civil rights (the idea being that one's civil rights are violated if the defendant cannot understand those rights) and 2) It insures that the defendant will be put on trial and face adjudication. A defendant who is actually incompetent but who faces trial and is found guilty has grounds for an appeal. If the guilty verdict is overturned because it was determined that the incompetent defendant's rights were violated, that defendant is free and cannot be tried again for the same crimes. I am sure Mr. Loughner's prosecuting attorneys understand this, which is why they did not object to the judge's ruling that Mr. Loughner is presently incompetent. They want to do everything perfectly so he does not have a case to appeal to a higher court. Here is another news story where I was interviewed. This is a sad case where a mother is accused of murdering her two children. She was arrested over the weekend in Castle Rock, Colorado. 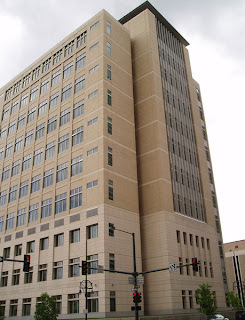 I testified in court in Denver County yesterday afternoon. This was another contested competency evaluation. There was another psychologist and a psychiatrist who also testified at the hearing. I was sequestered, so I have no idea what they said on the stand, and I do not know the outcome of the hearing. I testified as an expert last week in Arapahoe County. It was a contested competency hearing for a juvenile, and the magistrate agreed with my opinion that the defendant was competent to proceed with the case. This was a tricky case with a lot of gray area. But, Colorado State Law is very clear--a defendant either needs to be competent or incompetent. There is no such thing as semi-competent. On the stand, I felt I was able to explain the gray area and articulate my concerns regarding the defendant's limitations, while at the same time explaining my rationale for coming to the conclusion that juvenile was competent to proceed. It was nice to get the validation from the magistrate that I had explained myself well. On Wednesday and Thursday of last week, I spent a grand total of 12 hours in four different jails. Denver County, Arapahoe County, Jefferson County, Adams County. This week, I need to go to the Jefferson County Jail and the Adams County Jail (twice).